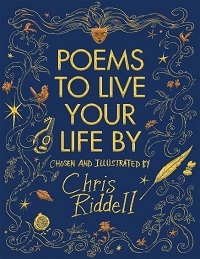 The book, Poems to Live Your Life By, is published on 20 September, ahead of National Poetry Day on 4 October, and contains 46 poems, each illustrated by Riddell, the author-illustrator and political cartoonist for The Observer. 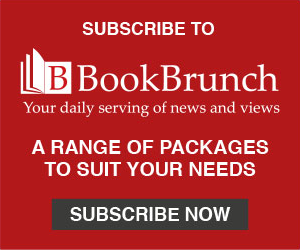 Selected poems includes poems from William Shakespeare, Lewis Carroll, Nick Cave, Leonard Cohen, Carol Ann Duffy, Christina Rossetti, Neil Gaiman, Roger McGough and WB Yeats. According to Macmillan Children's Books: 'The anthology celebrates the power of poetry to give meaning to the ordinary, the moving, and the celebratory. A life-long lover of poetry, Chris hopes his illustrations will enhance the experience of the reader. When he illustrates poems, he aims to be akin to a performance poet, guiding the reader to the rhythms and tones of the poem; to the parts that elicit our emotions. 'In addition Chris has chosen some of his favourite song lyrics to help engage young people with poetry in another form. 'From his jaw-droppingly beautiful illustrated books to his lively social media posts of train journey doodles, and his illustrated documentation of his laureate’s role (the ‘Laureate’s Log’- he was the 2015-2017 UK Children's Laureate), Chris Riddell is renowned in the literary world.